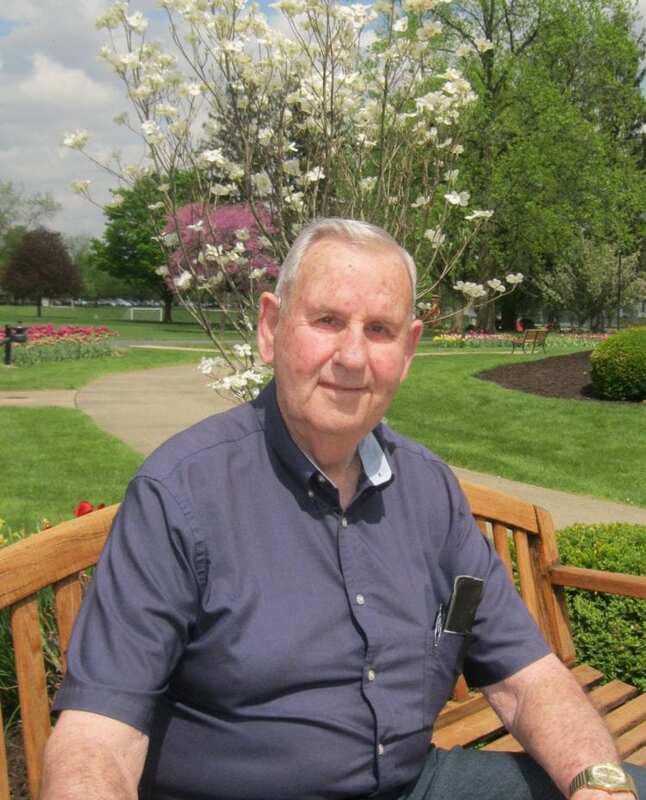 North Manchester, Indiana (April 25, 2017) – Maury Musselman is excited about Peabody Retirement Community’s 19th Annual Tulip Festival beginning this Saturday, April 29 at 10 a.m. The upcoming celebration marks Musselman’s third year as a Peabody resident and festival attendee, but the first year as Peabody’s Ambassador of the One-Mile Tulip Walk fundraiser to benefit the Honor Flight Network. Known as “Maury and Mim” around the community, the life-long farming couple turned over their farm to their son and moved to James B. Peabody Inn Apartments in 2014. Honor Flight Network is a non-profit organization created to honor America’s veterans for all their sacrifices. The charity transports Veterans to Washington, D.C. to visit and reflect at their memorials. In 2016, the Honor Flight Network flew 20,558 Veterans on commemorative trips, including 8,453 Korean War Veterans like Musselman. Maury served 15 months during the Korean War as a dental assistant on the Fort Sheridan U.S. Army Post in Illinois. For Musselman’s Honor Flight, Peabody’s Tulip Walk Ambassador will take off on Wednesday, May 24, at 6 a.m. from the 122nd Air National Guard Base in Fort Wayne to make the one-day trip to tour the memorials on the National Mall in Washington D.C. The public is invited to welcome Maury and his fellow heroes home by gathering at Fort Wayne International Airport in the ticketing area and outside on the sidewalks, beginning at 8 p.m. The return flight is scheduled to arrive at approximately 9 p.m., weather permitting. To help support the Honor Flight Network, the public is invited to take part in Peabody’s One-Mile Tulip Walk on Saturday, April 29. Registration begins at 9:30 a.m. in the registration tent on the Peabody campus at 400 W. Seventh Street in North Manchester. The $10 registration fee will be donated to the Honor Flight Network, and the walk begins at 10 a.m.
(260) 982-8616. Entrance to the festival is free and open to all. Peabody Retirement Community is managed by Life Care Services, An LCS Company, established in 1971 and based in Des Moines, Iowa, is the third largest manager of full-service senior living communities. Life Care Services currently provides operations, and marketing and sales management services for not-for-profit and for-profit Life Plan Communities, formerly known as Continuing Care Retirement Communities (CCRC), and rental independent living, assisted living, and memory care communities nationwide. For more information, visit lifecareservicesLCS.com.